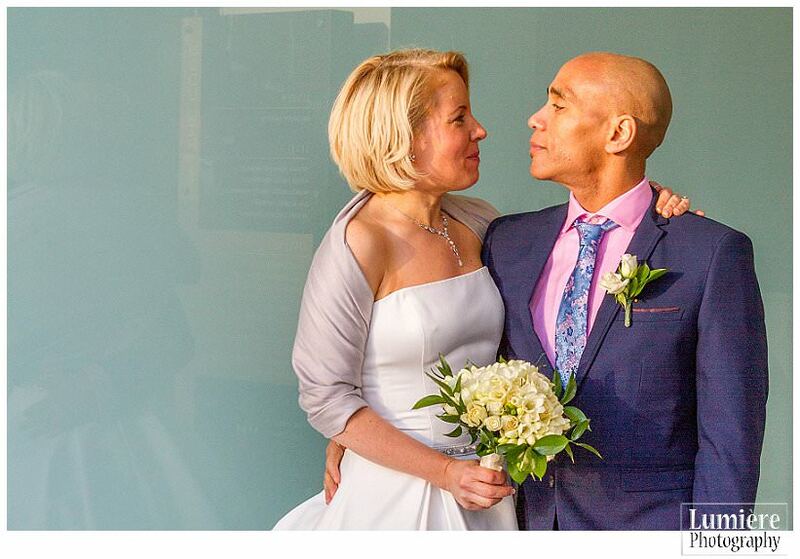 Jia and Charles’ wedding started at Loughborough registry and carried on at Burleigh Court. During the bridal preparations at Burleigh Court Hotel, Jia had many Chinese products whose names made me smile, such as That Gal and Man Smiling! Their Chinese wedding rings were beautifully matched to make a heart when touching and as a romantic, I went awww of course. It was an intimate wedding and full of emotions. It must be hard to get married without your family, even if the laptop skyping the event had a place of honour in the registry. They are going to China for part 2 of the wedding and I wish I was going too! The panda cake was a lovely touch too. I found the vows particularly moving. I know that some words are hard to say in English but I could see that Jia meant every syllable of them and her saying them slowly added emotion and meaning. Charles was described as “the cat who got the cream” and his grin was proof enough. I look forward to seeing them again after their Chinese trip, I can’t wait to see the photos! These are a small selection of their photos.